Falconer Funeral Home's building represents a substantial investment in Tramore, Waterford and County. We have endeavoured to make it as respectful and comfortable as possible. 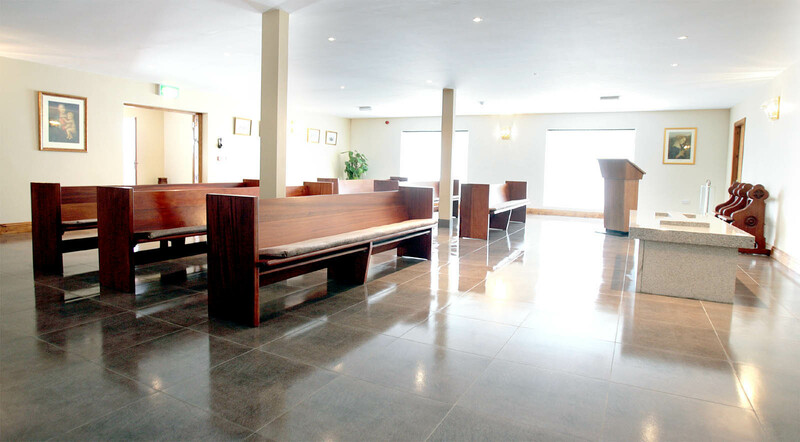 It is the first purpose built Funeral home in Waterford built to International standards to cater for all denominations. Featured in the grounds is an eight foot Dolmen, unique to Ireland, the Dolmen symbolizes the ancient Irish respect for the departed and belief in the afterlife. We have installed the first Web camera System in Ireland, in a Funeral home, that is computerised cameras, which will for the first time allow hospitalised or homebound people, together with emigrants and relatives, throughout the world, to view live the ceremony as it takes place on their TV, Laptops and computers. The immediate relatives will be given a unique code which will allow only those they wish to view. 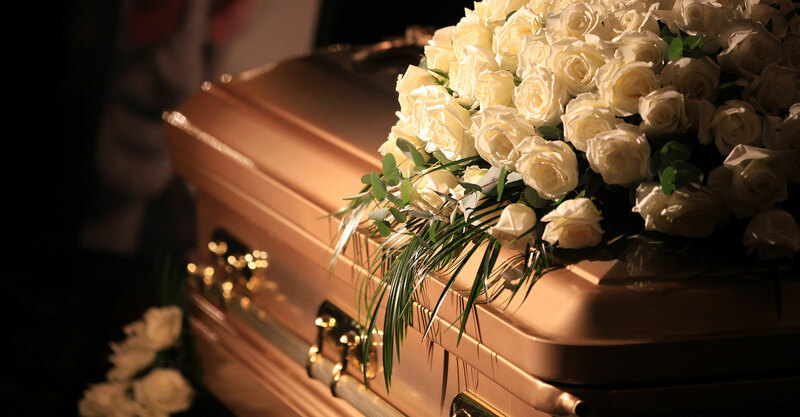 We can also provide relatives and friends of our valued customers the facility to leave a condolence message on our new website. While addressing the attendants at the opening James Falconer spoke of a chapter in his Undertaking career - where he claimed to be the only Irish Undertaker to be referred to on Broadway! "I was privileged to drive Anna Manahan R.I.P, Air Dheis De go raibh a H-Anam Dhilis, all over Ireland and indeed we were always the Manahan Family Undertakers. 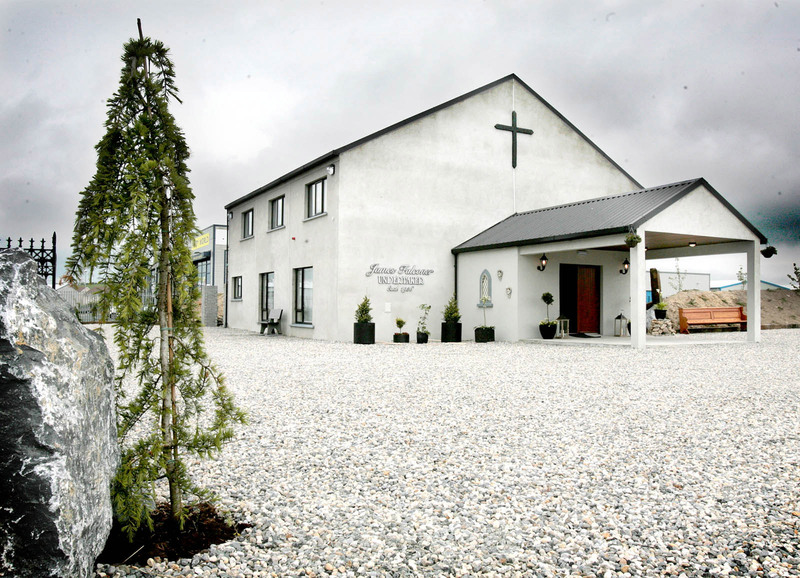 At the Funeral of her sainted Mother, which took place in the old cemetery in Ballygunner, a most extraordinary happening occurred. It was an idyllic summer's day at the grave side and I was standing beside Anna. The grave was in an elevated position beside the pathway on which we stood, which meant that we were looking up to it at chest level. Above us stood the priest, the sun behind him and the sun’s rays falling on the casket. As he began the graveside prayers, a beautiful butterfly ascended on the breast plate and remained during the prayers. As the priest raised his hand in final blessing the butterfly gently rose and headed skywards. I turned to Anna and said, "Sweets to the sweet farewell", which I believe was Hamlets farewell to Ophelia,- Anna was impressed". Some months later as Anna received her Toni award on Broadway, she gave her acceptance speech, "I come from a land immersed in poetry, scholarship and mysticism - A land that saved civilisation after the Barbarian invasion of Europe and restored Christianity as far east as Kiev, a land of music and tradition where even my Family Undertaker, quotes Shakespeare at the Graveside!" While using the most advanced technology together with our modern Mercedes fleet, nevertheless we never forget our fundamental principal which is timeless, that is Respect.